The FCA recently published a landmark report on financial crime. Whilst it’s not the sort of thing you’d read with a cup of tea on a Sunday afternoon, it’s an important document. So we decided to to break it down for you. We know that financial crime is a big deal for consumers. But what about businesses? The report helps give us a sense of the problem in the financial sector, which has implications for the broader economy. Over 2,000 UK firms contributed to a questionnaire, providing a comprehensive picture for the first time of how banks and building societies are fighting financial crime. This is significant for a couple of reasons. It shows how the UK financial authorities taking a more consultative approach to tackling crime. By proactively seeking feedback from companies, it will be able to better adapt the regulatory environment to address problems and protect consumers. By exposing key trends in financial crime, the report empowers businesses and their customers to better identify threats and take action to guard against them. The report starts by sizing up the number of customers posing a higher risk. It finds that “high risk customers” represent a very small proportion of the total customer base for UK financial firms. Those surveyed had a total of 549 million customer relationships, and only 120,000 of these are conducted with politically exposed persons (PEPs). The second part of the report puts some meat on the bone when it comes to what the industry is doing to tackle financial crime. Unsurprisingly, it finds that monitoring and addressing the risks of criminal activity consumes a significant amount of time and resources. In fact, the financial services industry employs 11,500 full-time staff in financial crime roles and spends over £650 million annually in dedicated staff time to combat fraud, money laundering and other crimes. The scale of the problem that firms are facing is also outlined in some detail. 923,000 suspicious cases were flagged internally in the previous year, of which 363,000 were subsequently reported to the National Crime Agency. Incredibly, firms turned away 1.15 million individuals due to concerns about financial crime. The five countries perceived at the most risky were Iran, Panama, Russia, Iraq and Laos. It comes as no surprise that fraud is increasing, particularly computer enabled crimes. The survey identifies cyber crime as a key concern, particularly phishing, computer hacking and malware enabled fraud. Unlike other key trends affecting businesses, financial crime is intrinsically opaque and hard to measure. Until now, there’s been a chronic lack of visibility, hampering policymakers’ ability to protect consumers and businesses. The FCA report provides some much needed data that can help businesses, customers and regulators understand the scale of the problem posed by financial crime and take action to mitigate it. Here at Shieldpay we came to this conclusion long ago. In fact, this is what we’ve been working to address for the last two years. Whereas the FCA is focused on monitoring regulated financial firms, we dedicate our time to measuring the risks posed to consumers and building innovative products to protect them. Our Fraud Tracker measures financial crime perpetrated against consumers by surveying over 2,000 people across the UK. Anecdotally, we know that online fraud is an epidemic, and now we have the ability to track the scale of the problem and its impact on society. By doing so, we hope to raise awareness, encouraging people everywhere to take financial crime more seriously. Our latest Fraud Tracker reveals that one in five people have been scammed whilst buying Christmas presents online. Nearly one in 10 claim to have never received the item they purchased, whilst the rest reported that they received fakes. The average value of the fraudulent items stands at a whopping £190, although an unlucky few (2%) suffered more significant setbacks, admitting they lost between £1,300 and £5,000. No-one wants their Christmas ruined by festive fraudsters, so shoppers should take care to ensure they’re transacting safely. Clearly the challenge posed by financial crime to consumers and businesses is massive, and the economic impact for brands and the wider economy is worrying too, since our data shows that victims of fraud change their shopping behaviour. So, what can we do to protect themselves? 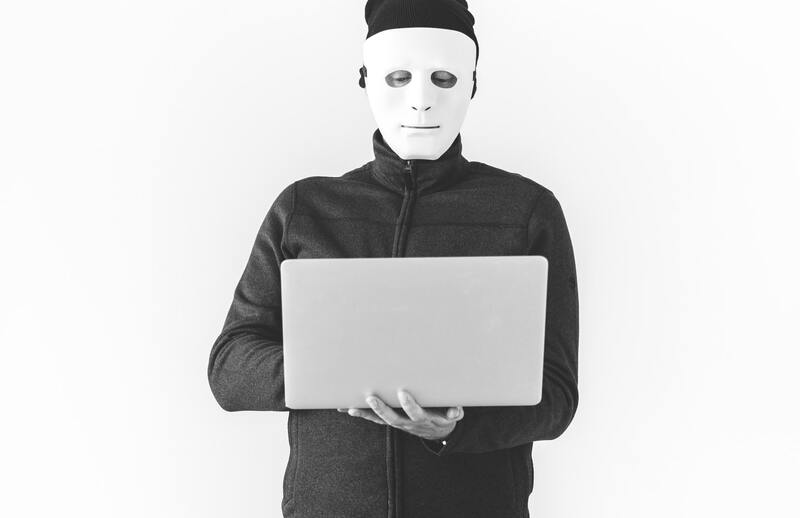 On the Shieldpay blog last week, we assessed the rising risk of falling victim to financial crime and suggested some simple steps that you can use to avoid falling victim to these frauds. Have a look at the article here and here’s to a happy, fraud-free 2019!